Pre-Con is poured into the casing prior to the installation of Trenton Fill-Coat® casing filler. The method of using these two materials together is a Trenton Corporation patented process*. Pre-Con conditions the water accumulated in the casing so that any small amounts of water that may be entrapped after installation of Fill-Coat casing filler are inhibited and no corrosion should occur. 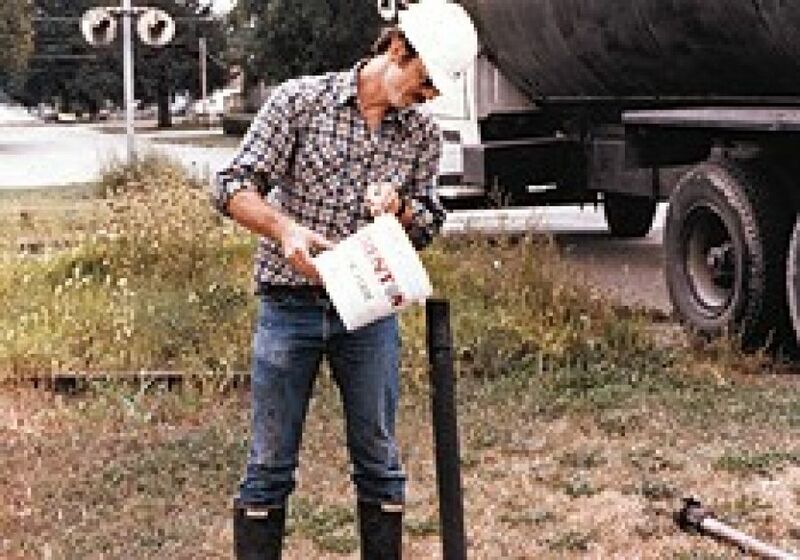 Prior to the filling operation, Pre -Con is poured directly into the casing through the casing vent and mixes with any water accumulated inside the casing. The casing can then be filled with Trenton Fill-Coat Casing Filler. Pre-Con™ is packaged in one-gallon pails or it is provided in bulk at the job site when Trenton crews install Fill-Coat® casing filler.